Rice straw pellet mill is mainly used to process rice straw into rice straw pellets as fuel for heating and cooking at home. 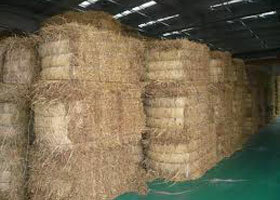 Generally rice straw is very common all over the world, especially in the countryside. It is a good application for rice straw pellet machine due to rich raw materials resources in the farm. Along with the development of pelletizing, rice straw pellet mill has becoming the most important save-energy machine in the market increasingly. To turn rice straw to biomass pellets, a rice straw pellet mill will be necessary. 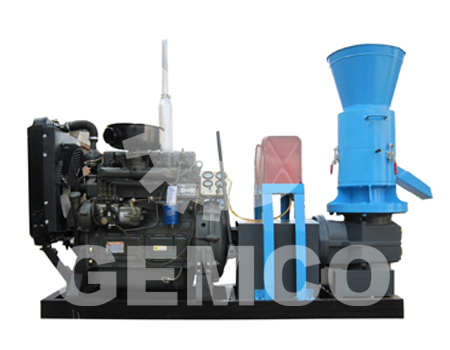 Analyzing the characters of rice straw, GEMCO developed a series of rice straw pellet mill. Each of them is small, portable, efficient, and productive for own use. Pellet mill with diesel engine is more suitable for electric power which not convenient for field granulating operation. Tips: We have other models and capacities to be chosen for customers such as 260B, 230B, 300B,150B, 300C,400C and so on. 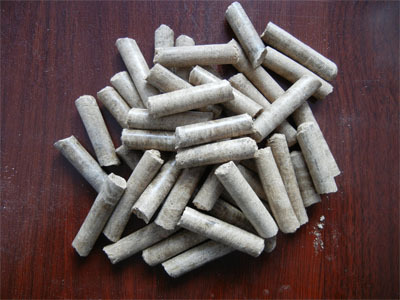 Read more in small biomass pellet mill page. 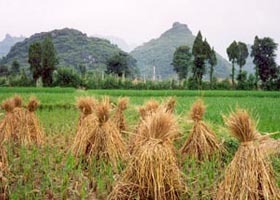 Before making pellets, you have to do some preparation of rice straw—moisture and size of it should be appropriate. Moisture is the key factor that affects pellets’ quality and pelletizing rate. Usually, 15% around is the best standard for making pellets. As for size of rice straw, if the size of rice straw is larger than the diameter of holes on the die, there will be accumulation or even damage occurring inside the rice straw pellet mill. Then, what you should do is just putting your pretreated materials into the rice straw pellet mill. This machine will work automatically to provide you finished pellets. Rice straw pellets produced are slippery, dense and tough enough for you to use them directly, or storage and transportation. But pay more attention to is the temperature of pellets just coming out. The pellets will be too hot to touch, so you must wait a minute so that you can touch them. 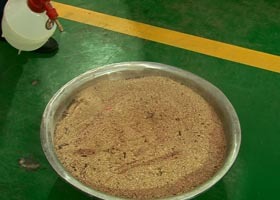 It is better to store and transport..
How to use different raw materials to make pellets?